Ateliers, the power of design is deployed in order to work on urgent local and regional tasks and to add value to spatial policymaking. Each atelier is an open space that the IABR, in its role as a cultural organization, provides to authorities in particular and within which those authorities can subject their own tasks to an intensive, joint process of design-driven research. The cultural space therefore becomes a breeding ground for innovation. The idea is that new ways of thinking should then lead to new ways of doing things: the power of the design must be able to be used for actual innovation in practice. The IABR-Ateliers, which for many years now have served as successful catalysts for design innovation in practice in cities such as São Paulo and Istanbul, are now being used in the Netherlands and result not only in new visions and plans. The objective of each IABR-Project Atelier is to come up with specific project proposals, linked to a ‘toolbox for governance’: in other words, policy tools that government and stakeholders can then use in a practical way. The results obtained by an Atelier always form one of the focal points of the main exhibition of an edition of the biennale. The next step is the most important one: the local and regional authorities then actually start working with the results. The IABR–PROJECT ATELIERS are run by the IABR in its role as the lead partner in the Regional and Local Design Dialogue government programme instigated by the Actie Agenda Architectuur en Ruimtelijk Ontwerp (AAARO) programme within the Ministry of Infrastructure and the Environment. Their assignment is to stimulate the timely use of design and design-driven research for local and regional tasks. More and more people are living in everexpanding urban landscapes. These are areas where city and countryside gradually merge into one another. Rotterdam is also situated in such an urban landscape, the Rhine–Scheldt–Meuse delta. That landscape stretches from Amsterdam to Brussels to Cologne. Rotterdam is, with its port, ecologically and economically a central node. Project Ateliers. The complexity of the city is exposed and studied, and new and unexpec­ ted relationships within the city are explored, offering urgent and relevant challenges and opportunities to the Rotterdam area. The research has led to a compelling analysis of our unique urban metabolism, resulting in a collection of spatial economic perspectives, ideas, and insights that will inspire us when building on a strong and sustainable future for the Rotterdam region. URBAN METABOLISM IABR–Projectatelier Rotterdam of an innovative approach to water-related challenges (Rotterdam Waterstad 2030), and of new insights into the city’s densification capacity (Rotterdam: People make the inner­ city). Inspired by the Biennale, we in turn inspire others by translating acquired know­ ledge into visions and new plans for the city. ‘We know so little about what it really takes, about how urbanization actually works,’ said Pierre Belanger, landscape architect and associate professor at Harvard University’s Graduate School of Design. This sums up exactly why this biennale is urgent and topical, given the fact that the majority of the world population will soon be living in cities, including the Dutch and the residents of the Rotterdam region. trends. These trends will have an impact on Rotterdam and create opportunities in the city. Across the globe, densely populated areas, not coincidentally often located in deltas such as ours, are searching for ways to realize a resilient economic future, pressured by global issues like resource scarcity, energy and food shortages, environmental issues, and climate change. Deltas are also highly competitive as attractive habitats, with fashionable labels like Eco City, Smart City, Sustainable City, and Climate Proof City. To attract and retain talent and industry, it is crucial to create an urban ‘ecosystem’ where authorities, know­ ledge institutes, businesses, and citizens effortlessly manage to relate to each other. is the heat network (for district heating) that is created by recovering the waste product heat and giving it back to Rotterdam’s inhabitants and businesses. The Port of Rotterdam also provides the important Dutch greenhouse sector of the Westland with CO2. Inseparably connected, the city, the port, the Westland and the river are in flux; they are in the making and will only become more important in the future. ‘Urban mining’, recovering raw materials, for instance from sewage, the river, or urban waste flows, can provide a real breeding ground for agriculture in the region, the Westland or urban agriculture, but can also become a source of materials for urban newbuild or provide us with a strong position in the future commodity market. In the distant future, a link with the pharmaceutical industry through the recovery of raw materials for medical products — the sewers are full of them — is likely. Partners in the wastewater chain are already actively involved in innovation with regard to the treatment of wastewater to extract raw materials. There is much to be learnt from the many innovative businesses in the region. Largescale commercial clusters such as the Westland or the Port of Rotterdam show competitive strength and innovative efficiency as they work toward closing their cycles ensuring the recycling of waste into new raw materials. They enter into new regional partnerships to strengthen their own position and secure their future —a future that is broader-based than that of traditional businesses. The Westland, for instance, is rapidly transforming from a food producer to a provider of plant products for, among other things, packaging and medical companies. In this chapter we will deal with a number of questions about urban (substance) flows. What exactly are substance flows, and how do they relate to urban metabolism? How can they contribute to a better quality of urban life, not only here and now, but also elsewhere and at a later stage? 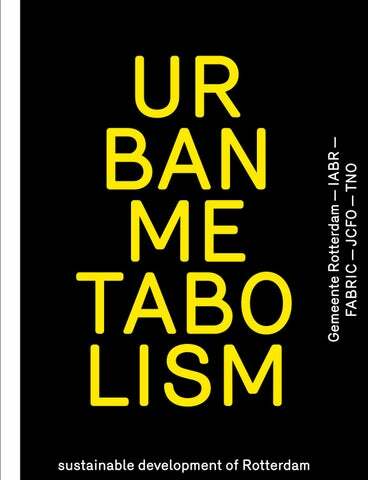 What are the views of the International Architecture Biennale Rotterdam (IABRâ&#x20AC;&#x201C;2014) on substance flows and urban metabolism, and how does this body of ideas contribute to the concrete implementation of urban tasks, as in the Project Atelier Rotterdam? The switch from an analogue to digital society has brought us on the eve of a new Industrial Revolution. The manufacturing and distribution systems of a vast majority of products will be completely overhauled. We use the concept of urban metabolism to describe the urban system in organic (not artificial) terms, by drawing a parallel with the human body. Metabolism is therefore a key concept here: the metabolism of the urban landscape. How do the ingenious, interlocking flows and systems in this complex, interactive urban system work, which incessantly works to meet the needs of its residents?1 To make this urban metabolism visible, a num­ber of vital flows will be dealt with. This us­ually concerns physical flows, i.e. substance flows.2 In the final chapter a link will be created to information flows and value streams in order to be able to use this ap­ proach in daily practice. For the time being, we will concentrate on goods, people, waste, biota (inter alia plants and animals), energy, food, fresh water, air, sand and clay. Although people and energy cannot exactly be regarded as substance flows, in a way, it also concerns matter that flows from one location to another. We will also examine building materials, freight traffic and waste. For example, waste management is one of the main cost items of municipalities around the world.3 Therefore, these flows affect the everyday lives of individual city-dwellers and their basic needs. To some extent, there is even a one-on-one relationship with what our body’s metabolism requires. They also affect the operation of large urban constel­lations as a whole. Each of these flows is indispensable to the city’s functioning and well-being. However, these flows will not remain the same in the decades ahead in view of changing requirements and contexts. It will often be extremely difficult to allow them to take place whilst ensuring good quality and greater sustainability. This is an enormous yet concrete task, which will be of interest to designers and planners, but also to companies, investors, administrators and concerned citizens. centur­ies to still be able to talk about the Holocene as the current age: the Holocene has since been abandoned for a new era, where man intervenes on earth as a force of nature. Following on from this, Sijmons concluded that a new era had dawned, where it was no longer fruitful to separate man from nature, since town and nature overlap spatially and interact functionally. Rather than contrasting urban society with nature, Sijmons chooses to place nature in man, in society. He asks: What new terms can we use to talk about cities in the Anthropocene? And what new problem-solving approaches would come about if we were to try to consider the whole network of relationships between the two, as opposed to putting either people or things first? Thinking about urbanism has long had the character of thinking in terms of inner worlds, including the characteristic behaviour of passing on problems. Urban problems were preferably dealt with by dropping them elsewhere. However, this approach has become increasingly pointless since the human habitat coincides increas­ ingly with the urban landscape, within which urban problems will have to be solved . However, cities are interconnected by flows. Flows enter a city, are reused or stored (or not), and leave a city again. The metaphor of urban metabolism makes it clear that although cities can no longer pass on their problems, neither can they stand alone. Sijmons regards the following as the main tasks here: –	Securing the access of city-dwellers to flows of daily necessities, such as water, food, communication and energy. In rapidly growing tropical towns, this literally makes the difference between life and death. system, the digestive tract, the lymphatic system, the nervous system or, for example, the skeleton. The flow of blood, nutrients, lymph, nerve signals and the regeneration of our skeletal system not only pertain to different networks, but also shows different rates of flow. Although the urban flow approach is very strong, instead of representing this flow merely as a single living organism —a human being— it would be interesting to regard the city as a complete ecosystem with substance flows, since the efficiency of an ecosystem does not result from the fact that there is no waste, but from the fact that there is always something being done with waste.11 TNO (the Netherlands Organisation for Applied Scientific Research) has carried out additional research into a number of substance flows in the Rotterdam region. Using what is referred to as “Material Flow Analysis” and “Life Cycle Analysis”, the flows were analyzed (from district to regional level) and the consequences of the urban flows were identified. This is important, since they can now be linked to urban human activity. In the next chapters the urban substance flows will be revealed, the effects on the living environment will be calculated and perspectives and initiatives will be presented so that the force of urban metabolism can be felt. 1	Sijmons D. , Urban by Nature, International Architectural Biënnale Rotterdam, 2014. 2	Kennedy C., Pincetl S., Bunje P., The study of urban metabolism and its application to urban planning and design. Environmental Pollution 159: 1965–1973, 2010. 3	Hoornweg D., Bhada-Tata P., Kennedy C., Waste Production must peak this century, Nature, vol 502 p. 615, 2013. 4	Barles S., Urban Metabolism of Paris and Its Region. Journal of Industrial Ecology, Vol. 13, Nr. 6, pp. 898-913, 2009. 5	Global Cities Indicators Facility, Policy snapshot no 2. collaboration with Philips, Cities and Ageing, 2013. 6	Tillie N., A sustainable city calls for a new synergy between top-down and bottom-up, Council for the Environment and Infrastructure. (Toekomst van de stad. p 41).,Raad van de Leefomgeving en Infrastructuur, 2012. 7	Municipality of Rotterdam, GIS data on income and energy costs. 8	Brugmans, G., Strien, J. (ed.) (2014) IABR—2014—URBAN BY NATURE— 9	Tillie N., Aarts M., Marijnissen M., Stenhuijs L., Borsboom J., Rietveld E., Doepel D., Visschers J., Lap S., (2012) Rotterdam people make the inner city, densification plus greenification = sustainable city, Mediacenter Rotterdam, 2012. 10	Newman P., Kenworthy J., Sustainability and Cities: Overcoming Automobile dependancy. Washington DC Island Press, 1999. 11	The idea that, in theory, ecosystems represent efficient and self-sufficient systems needs further qualification. It requires a continuous input of energy and nutrients in the form of sunlight, nitrogen, CO2 and oxygen in the air to maintain each ecosystem. Ecosystem cycles are only “closed” at the level of the biosphere, and also on this scale complete dependency on energy remains in the form of sunlight. scale levels. These profiles can be linked to current developments at local and global level, as a result of which opportunities arise for making the urban system more sustainable. An example is recovering phosphates (as opposed to importing them) from exhaustible resources, such as phosphate mines. This resulted in several perspectives for action being formed for each flow, which the Project Atelier eventually translated into four proposals for taking better advantage of flows in Rotterdam. Studying the city as a metabolism of its own requires ‘metabolic’ thinking: cyclical, iterative, fuzzy, beyond denominations of ‘right’ and ‘wrong’. That is, thinking in design terms. Rotterdam covers 200,000 kilograms of material per year (of which 93 per cent immediately is exported from the area). This figure shows the relative size of the different physical flows through the region. the increase of scale in the retail sector and the decreasing popularity of fixed retail outlets; as a result of online shopping, consumer products are increasingly delivered directly at home. Shops are slowly disappearing from city streets as a result. Limited economic spin-off and a smaller role for the retail sector results in emptier city streets, with a reduced market and social value. Can this be turned around? Looking at the flow of goods, the question arises whether it is possible to use a small part of the enormous flow of goods which now largely bypasses the city more efficiently in order to create added value in the city itself? underdeveloped. Most commercial districts and training centres are situated to the north of the Maas, but access to the commercial districts in South Rotterdam is also inadequate for people without a car. This has resulted in a form of “mobility deprivation”. The question is: How can we improve regional and municipal access to work and education, particularly for South Rotterdam? 1	Saunders, D. (2011) Arrival City: The final migration and our next world. a year. In Rotterdam, 49-75 kilos of this is fruit and vegetable waste, which is currently incinerated (for district heating). In addition to organic waste, 3.4 kilos of electronic waste is collected for each Rotterdam resident every year, a substantial part of which is mobile phones. 1 tonne of telephones yields 140 kg of copper, 3.14 kg of silver, 300 gm of gold, 130 gm of palladium and 3 gm of platinum. Because the techniques for recovering raw materials from household waste, sewage water and electronics are rapidly being developed, we are increasingly often able to recover raw materials from waste, i.e. “upcycling”. Just as it applies to recycling, the recovery of raw materials starts at home. However, the question is: How can we organize our living environment for this? 2	Bastein, T., E. Roelofs, E. Rietveld, A. Hoogendoorn (2013), Opportunities for a circular economy in the Netherlands, TNO Delft. AVR waste incinerationl Van Gansewinkel Van Gansewinkel Minerals Sita Sita Ecoservice Van Gansewinkel NL B.V.
the region of Rotterdam that could well be used to strengthen nature in qualitative and quantitative terms. Because nature rehabilitation often meant that landowners had to deal with numerous restrictions in the past, many businesses have adopted a policy that prevents nature rehabilitation. However, changing insights, particularly on the side of environmental protection organizations, show that “temporary nature” can be very valuable. In other words, spontaneous nature rehabilitation and spatial reservations for future use are not necessarily mutually exclusive. In fact, it is more a matter of how the space that cannot be used for human activity can serve as a stepping-stone for biota without frustrating economic interests. surface water in the form of heat. The annual CO2 emissions in Rotterdam now amount to approx 29 megatonnes, over 85% of which comes from the manufacturing industry and energy generation in the portindustrial complex. It is a missed opportunity, both in economic and ecological terms, to continue to waste heat in this way. This was already recognized in 2007 by the Rotterdam Climate Initiative, which set itself the task of cutting CO2 emissions by 50 per cent in relation to 1990. If we wish to achieve the Kyoto carbon dioxide emission targets or the objectives of the province of South Holland, we will have to intervene. And as for heat, it is not likely that we will be allowed to discharge heat on this scale for very much longer. For example, it is already forbidden to discharge heat in the Copenhagen – Malmö – Helsingborg region. In other words, an important task for us as far as this substance flow is concerned is to take better advantage of the residual products of energy generation. Maasvlakte, 80 MW, E.ON Maasvlakte, 1052 MW, E.ON AVR-Botlek, 124 MW. Rijnmond Energy, 820 MW. Galileistraat, 209 MW, E.ON Roca, 269 MW, E.ON. 7 Pergen, 300MW. 8 Enecogen, 830 MW. 9 Centrale Rotterdam, 300MW. drainage channel of nutrients. All these unused nutrients flow to the sea through the port of Rotterdam, after which they can hardly be detected, except as a breeding ground for excessive algae growth. 582 tonnes of phosphorus are discharged in Rotterdam every year, half of which into the sewage system. Less than 2 per cent of this amount is recovered.5 According to the least optimistic estimates, global phosphate supplies will last us for approx fifty years. If we let these supplies drain into the sea, food production will eventually come under pressure. Phosphate prices are expected to rise. We can â&#x20AC;&#x201C; and should â&#x20AC;&#x201C; do something about this. 5	Kirsimaa, K. Internship report City Of Rotterdam: Urban farming in Rotterdam: an opportunity for sustainable phosphorus management? Wageningen University and Research Center, 2013.
depend on fresh water; it also poses a threat to the agricultural and horticultural sectors, and even to the cityâ&#x20AC;&#x2122;s drinking-water production. The question is therefore: How can we guarantee the availability of sufficient fresh water in Rotterdam in the long term? year. This amounts to a large daily transport of harbour sediments to the sea. The largest source of sediments used to be the catchment area of the Rhine but, as a result of restricting the flow of the river, the North Sea is now the main source of sand, which accumulates on the river bed and harbour basins (approx 14 million m3 from the sea, compared with approx 8 m3 from the Rhine). Dragging sand from the port to the sea is an endless and costly process. It is noteworthy that transport largely determines these costs, since transport costs make up 90% of the cost of depositing 1 (one) m3 of sediment into the sea. The question is: How long can we continue to work against the current, and would it not be wiser to use the natural process of land formation more strategically? higher altitudes, sometimes also over cities. The effect of industry in the port area on the air quality has decreased considerably over the past few decades. There is nevertheless still much to be done. As in other major cities, there are a number of areas in Rotterdam where the number of healthy years of life of residents is lower than average in the Netherlands; in part, this is still a result of air pollution. For instance, monitoring calculations from the National Air Quality Cooperation Programme show that there are a number of persistent bottlenecks in Rotterdam, especially along busy throughroads. Therefore, there is a less positive side to the good vehicular access to the Rotterdam city centre. A map showing the emission of NOx makes this less perceptible but clear effect of motor traffic on the city air visible, since the main traffic arteries clearly stand out. The question is therefore: How can we organize access to Rotterdam in such a way that it will have a positive effect on the city’s air quality? metabolism of a sustainable city. This challenge was picked up by the IABR–PROJECT ATELIER. This chapter will examine the results produced by the atelier and will show how various strategies can contribute to an urban metabolism that has fewer negative and more positive effects on the quality of life. Energy = Space, Without those handy little packages of gas, oil and coal from below the surface, we can only get energy from sources on the surface. Because of the ‘low energy density’ above ground, this switch requires radical new ways of thinking in terms of urban planning and the development of the built-up environment. innovation and substitution” are generally seen as being guiding principles for improving the sustainability of the use of materials in production and consumption chains (Ellen McArthur Foundation, 2012). In the design-driven research that was done within the Project Atelier Rotterdam, various design strategies for improving the relationship between flows were looked at, as well as strategies focused on more efficient production-consumption chains. This resulted in four principles that are applied to spatial design, namely the countering of waste through catalyzing high-value flows, the channelling of residual waste flows, the recovery of raw materials and the reduction of transport movements. Translated to the context of Rotterdam and in concrete terms, this means the following urban design strategies: Catalyzing ­ Re-Industrialisation, Channelling (Energy) Waste, Collecting Resources and Creating Biotopes. 2	Verstraeten-Jochemsen, J. , Rover, V. en de Vos-Effting, S., Kennis Investerings Project Stedelijke Ketens – Verkenning naar een methode om de footprint van een stad te bepalen. TNO, Utrecht, 2013. 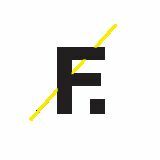 The issue of food is the premier topic to return circular thinking to the city... For the city revolves around people, and people need to eat. Good food grows on good soil, requiring good water and nutrients. Also because of the ongoing urbanisation, these ingredients will become ever scarcer. Unless the city will start to think in terms of closed, organic cycles to replace the industrial-age notion of linear production chains. horticultural centers, Westland and Oostland. And e-waste can be collected and processed on a large scale. C Aquafarming Through agriculture alone, 28 million tons of phosphate are lost in the Netherlands on an annual basis. But valuable nutrients are also lost at many more points along the entire food production to consumption chain. Ultimately, most of the nutrients are washed out to sea, after which they can barely be traced. By using existing and planned Â­offshore infrastructure on a larger scale to harvest not only energy but also nutrients from seawater using aquafarming techniques, it will be possible to recover these losses in the future. Bio-based grondstoffen Increasing numbers of discoveries are being made in the agricultural sector to show that plants are also suitable for non-food applications. The bio-based materials project links the production of organic materials in Westland and Oostland to the new, up-andcoming bio-based production of, for example, plastics, medicines and cosmetics. This really is a process of transformation that, alongside recycling and upcycling, is essential if we are to continue to meet our future needs for raw materials. and if e-waste becomes a part of daily shopping. Buildings, too, are an accumulation of materials flows in the city. A remedial option, such as large-scale, sustainable renovation instead of demolition and new build, can offer significant advantages from an urban metabolism point of view. Phosphate recovery Stocks of phosphate are finite, just as stocks of rare metals are. It is therefore important to recover phosphate from the five waste water treatments in the Rotterdam region using proven techniques. ownersâ&#x20AC;&#x2122; association-type protein collectives that meet their own protein needs might be places in Rotterdam with a segregated sewage system that could transport vegetable and fruit waste to a site in the district where the protein is produced and can be used for urban farming. Residues supermarket The supermarket at the centre of a local, easily accessible network, at which you can get back a deposit on your old smart phone and other forms of valuable waste, represents the next link in the collection and processing chain for valuable residues. This means that the food supplier for the local supermarket need not drive back to the distribution centre with an empty truck, but instead loads up with reusable materials that are then taken from the distribution centre to recycling centres in the port in large quantities. Impact assessment for alternatives to protein from fish and meat There are many environmental gains to be made in the production of food. We eat approximately 510 kg of food per person per year. Meat and fish make up approximately 5% of this amount. At the same time, this 5% is responsible for approximately 50% of all carbon emissions from food. By opting for alternative sources of protein, such as protein from insects/larvae for example, the emission of carbon dioxide as the result of food production can be drastically reduced. Traditionally, the building industry in particular also creates a lot of waste including packaging materials as well as plastic, wood and concrete. But more important is the energy we use for heat and electricity in built-up environments as these have a much greater impact on our environment. If the building sector in the Netherlands were to formulate the ambition to renovate half of the homes in Rotterdam, this would lead to considerable benefits for the environment. We cannot live safely in our cities without nature. And our economy cannot prosper without it. We rely on nature to grow food. And we preserve our natural heritage because it adds value to cities and makes them attractive places to live. So when we look at our cities, we should always consider nature and its dynamics. periods. And freshwater is quite simply ­essential for agriculture. By using the formative power of geological processes at strategic points, opportunities for the development of new natural environments arise. C Water landscapes The current creed adhered to for water in the city (infiltrate â&#x20AC;&#x201C; store â&#x20AC;&#x201C; drain away), which focuses on surpluses, is tackled in design projects. Instead of throwing water away when it is in abundance, the water is saved up outside of the city ready for dry periods. By storing rainwater at sites around Rotterdam by using water squares and existing waterways, water can be brought back again during dry periods and urban green areas can be given freshwater so that irreversible salinization can be prevented. The new storage areas then also take on a recreational or ecological value. The wet environments that are created form the solution for the lack of natural water meadows around Rotterdam. A productive landscape can also be created from these, and they can also be used for recreational purposes. Sedimentation is still seen as being waste that gets in the way of port activities. It is for this reason that more than 20 million cubic metres of sediment are dredged from the port every year, meaning daily transportation of dredgings from the port to the sea. Transportation accounts for every 9 out of the 10 euros it costs to dredge one cubic metre. Local use of silt from the port could mean savings of € 7 per cubic metre. store, the equivalent of approximately 16 hours of rain can be stored for use during dry summers. In addition to being functional, the new storage areas are also of recreational and ecological value. Self-growing Maasvlakte Through targeted initiatives, sediment flows at sea can be used for creating safety and space for food production and, in the longer term, new port activities. Behind a new dyke, a combined process of natural land reclamation and oyster farming is taking place. The result in 30 years’ time will be a new Maasvlakte (port area) that has grown naturally. Sedimentation banks and land farming At strategic sites, port silt can also be used locally in order to ‘soften’ the steep banks of existing dykes. Areas can be set up for land farming immediately behind the dyke. While the dredgings steadily develop to become useable agricultural land in this way, during the process a dynamic natural environment can come into being. Docks If we allow unused docks to silt up in strategic places instead of continually removing dredgings, then new biotopes are created, forming the important links for migrating fish, among other things. But allowing docks to silt up is not only good for fish: it also brings opportunities for using the docks as ecological park landscapes with recreational value. We know so little about what it really takes, about how urbanization actually works. Heating network + geothermal heat The introduction of a heating network on the scale of the South Wing makes the individual production of heat by many businesses and households unnecessary. This not only means enormous savings in energy consumption, but also a considerable reduction in CO2 emissions. By linking the heating network to geothermal heat, a very stable network is created that can be developed in both a centralized and a decentralized way. This also makes optimum use of the location of Rotterdam in a unique geothermal heat zone. a process known as Carbon Capture Storage (CCS). The many empty gas and oil fields at the bottom of the North Sea can be used for this purpose. They can be accessed relatively easily using pipelines from Rotterdam. In addition to storing CO2 in the place it originated from, ‘filling’ empty gas fields also means an increase in the yields from the existing fields as greater pressure can be used to ‘squeeze’ them until they are empty. depending on the needs of the district. Rotterdam can also give substance to its sustainability ambitions by including more sustainable sources of energy, such as wind and solar power, in its energy mix.6 4	Rotterdam is a succesful pilotcity within the EU Celsius Cities project. www.celsiuscity. eu 5	Dobbelsteen, A. van den, Wisse, K., Doepel, D., Tillie, N., (2012). REAP2 – New Concepts for the Exchange of Heat in Cities, Proceedings of SASBE, Sao Paulo. 6	Carney, S. & Shackley, S. (2009). ‘The greenhouse gas regional inventory project (GRIP): designing and employing a regional greenhouse gas measurement tool for stakeholder use’, Energy Policy vol. 37, pp. 4293–4302. Heat hubs Heat hubs form the couplings between residual heat from the port and geothermal heat at depths of 2 and 4 km. The hubs also control the cascading of the various demands for heat from the immediate environment. This means an extension to the technical facility already used in Rotterdam South. The new version of the heat hub also has a public function with innumerable possible uses, from watchtower to year-round public spaces and district sports. amount of CO2 emitted by housing would be reduced by between 70 and 80%. This is the same amount as is stored by 5000 hectares of woodland. This also offers the possibility to provide relatively cheap energy, to a economically weaker section of the population of Rotterdam, often living in homes that in terms of structure and energy are mediocre. Design is ideally placed to critically interrogate reality and to unfold till now uknown perspectives and thinking. obvious partner for the already successful German ‘Industrie 4.0’ programme, which brings together factories, machines and products digitally. At regional level, improvements to the public transport network can facilitate the mobility of people. Regional public transport ring plus knowledge axes By designing the missing link in the existing public transport network at a regional level, a light rail ring is created. This modification makes a substantial flow of people possible. By setting up the zone around the Delftse Schie and the connection between Westland and Oostland into a development area for knowledge and innovation, two knowledge axes are created, connected by the light rail ring, and linking the knowledge from Rotterdam to the expertise already present in Westland and Oostland. boulevards, work can be brought to the people, rather than the other way around. As freight traffic both by road and by water plays an important role in Rotterdam, the optimization of logistics can result in great economic and ecological benefits. e-loop for people and cargo In order to reduce the motorized freight traffic that currently passes right through the city centre, this flow is directed away with the design of a new inner ring road – the e-loop. Three cargo hubs in Spaansepolder, near to the Feyenoord Stadium and in the Waalhaven, connect up the e-loop, the motorway network and water. At these points, loads are transferred within a dense distribution network that comprises boats, bicycles, electric delivery vans, cargo lockers and pick-up points. But the e-loop not only forms the backbone for goods. People hubs at the main railway station, Zuidplein and the RDM campus ensure that people, too, will make intensive use of this ring for small-scale electric transport. Re-industrialization boulevards By seizing the opportunity left behind by the departing retail trade and making use of the capacity in the urban fabric, space for a mixed urban environment comes into being. Through the use of designs for changing both the street profile (into shared space streets) and the zoning plan (a mixture of functions for the first two storeys), three city boulevards are being made for reindustrialization: one port boulevard (Brielselaan), one city boulevard (Pleinweg â&#x20AC;&#x201C; Strevelsweg) and one data boulevard (Slinge). Think in terms of 3D printing, data processing, innovative storage, etc. Global Cities Indicators Facility at the University of Toronto compared rankings that had been applied to seven prominent world cities, it turned out that only six of the 1,200 indicators being applied were exactly the same. The IABR–PROJECT ATELIER in which the nine material flows have been researched and analysed provides inspiration for Rotterdam’s urban development. Building up a circular economy in the region, with its high quality of life, is part of this. 131 chain and nutrients from the water that are used as a raw material in the food chain. The four strategies have particular impact on the energy use of the city. All measures have an impact on the energy consumption: cargo hubs reduce the consumption of gasoline and diesel, sustainable renovation reduces gas consumption in homes, renewable energy creates more local production of electricity and district heating reduces the demand for gas. obtain a better picture of what opportunities present themselves and what synergies may exist between them all contribute. For the City of Rotterdam, the IABR–2014–URBAN BY NATURE–, meeting also provides an opportunity to offer a venue and connect ideas, initiatives and activities wherever possible. The starting shot will be the first meeting with local partners on the 25th of June 2014. Innovation, new working relations, new revenue models and unexpected coalitions will shape a future in which more sustainable material flows will create more added value in a region. employees, which are available in Rotterdam in large numbers. Finally, on the consumption end of the food production chain, the city produces large amounts of organic waste. This waste is not just produced by residents, but also at the markets and in the food-processing companies in Spaansepolder. The investigation into the possibilities to make use of this organic waste as a material flow for food production, but also for purposes like biogas generation, has just begun. Is much to be gained by the small-scale processing of the waste for use in the many communal kitchen gardens? Or should we aim for a larger-scale processing for use by the neighbourhoods or the agricultural companies outside Rotterdam? Van Timmeren7 points out the importance of social cohesion for these sorts of initiatives and states that, depending on the actual situation, they should be carried out on the neighbourhood and borough levels. Taking this point of view, a follow up question would be: what would a transformed neighborhood or the garden city of the 21st city look like? Waste water chain Various urban metabolism flows, including foods and fresh water, come together in the waste water chain. Over the past few decades, the Rotterdam waste water chain has successfully been optimized and turned into a system able to process wastes as efficiently and quickly as possible. This improvement was financially made possible through the levying of taxes and waste collection levies. It is now a welloiled, albeit expensive, machine, flushing out the finite and ever rarer resources and raw materials or sluicing them towards the waste incineration plants. opportunities. The key question is that of how design research can contribute to creating a new socio-economic paradigm that establishes the city itself as a kind of lever for the optimum and sustainable social and economic performance of its residents. Let us use our newly drawn agenda and the framework of the municipal coalition agreement to make Rotterdam an even more attractive and economic successful city in the two years to come! share a new and integrated perspective in which economic, ecological, and spatial diversification is coupled with a comprehenÂ­ sive reading of city, nature, and landscape. colophon This publication was made possible thanks to contributions from: The Municipality of Rotterdam, IABR, FABRIC, TNO (Netherlands Organization for Applied Scientific Research) and Interreg IVb / MUSIC, as part of the IABR–Project Atelier Rotterdam: Urban Metabolism, within the context of IABR–2014–URBAN BY NATURE , 29 May–23 August 2014 in the Kunsthal and the Rotterdam Museum of Natural History.